This was originally posted on the TAE website. I was given permission to repost it here. It’s full of great information. Over the last couple of years Truth in American Education has heard from many concerned parents across the country wanting to know if and how they can opt out of state assessments, especially those administered online and the assessments produced by SBAC and PARCC. Teachers, principals, schools, school districts, and states are under a tremendous amount of pressure to produce results on assessment tests. Schools get branded and punished if deemed a failing school even though the system is pretty much set up to start schools on a downward spiral from which it is extremely difficult to recover. In too many places teacher evaluations are being tied to these assessments. This pressure may result in parents being told they can’t opt out of testing and having the parents’ requests disregarded. 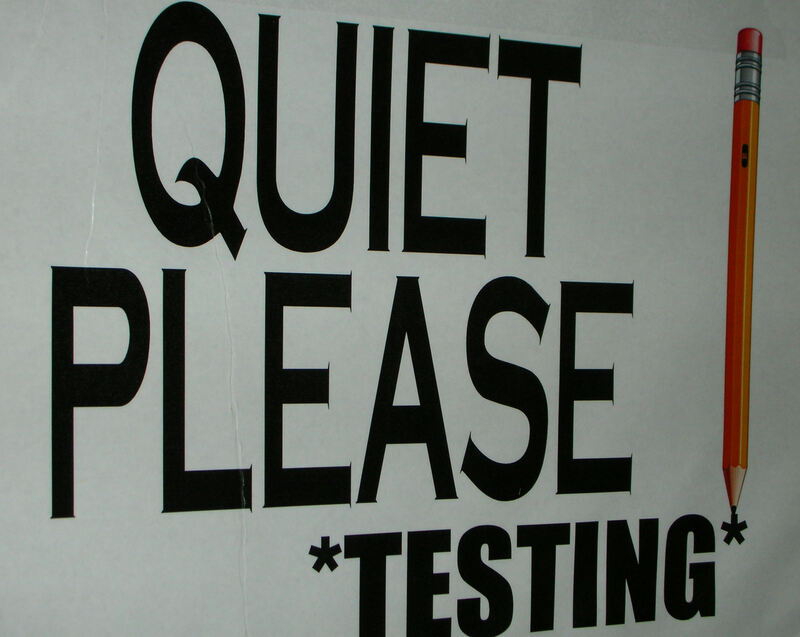 Parents may be told the tests are required and there is no opt out provision. Threats may be made that the parents will be reported to the child protective service agency if their child is not in attendance on assessment days. In most states the state may mandate the administration of assessments but that does not mandate each student participate in the administration (consider the semantics that comes into play). Across the country there is a large and growing resistance to assessments. There are opt out websites that may provide a lot of information and advice. Some information is provided here to help parents as they go through the process of opting out of assessments and not allowing the school system to assess their child. The information provided here is not intended to be all-inclusive but it may have some suggestions other information sources don’t emphasize or have. Links to other information sources and letters/forms are also provided. Parents are encouraged to thoroughly explore those sources for a better understanding of the issues and process related to opting out. It is helpful to be knowledgeable of related legal issues in your own state, keeping in mind the information presented here is general information and not specific to any one state. 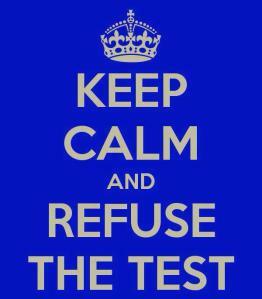 Opting out, refusing the test, saying no to the test, and boycotting assessments may be considered different ways of saying your child is not to be administered the assessment. Parents should check their state laws to see what they say with regard to state assessments. Parents may want to contact an attorney licensed in their state regarding this process. In most cases, there are no state or federal laws requiring every student to participate in state assessments. No Child Left Behind requires states to administer state assessments. Many states require the same thing. Requiring state assessments to be administered does not mean that every student has to participate. So, to restate, it may be mandatory for schools to administer assessments, but that does not mean it is mandatory every child take the assessment. There have been school officials who have told parents that state and federal laws require every child to take the assessment. This is not true and parents should challenge this by asking the school officials to cite and provide a hard copy of the state and/or federal law requiring participation in state assessments. School officials directing parents to find the law for themselves is not adequate. Officials have also told parents there are no opt out provisions in the law. This is often stated to make parents think it is not legal for them to opt out. While it is true most states do not have opt out provisions in the law that does not mean the law requires every student to participate in state assessments. Parents should put the responsibility on the school officials making such claims to cite in writing the state or federal law requiring every student to take the assessment. It is not good enough for the school official to say such laws exist; they must cite the law in writing so parents can verify it for themselves. If the school official says they are following a state directive, ask to see the directive in writing. If the laws don’t exist, they cannot produce and show them to you. A directive may be misleading and not truly address the issue. Parents should make their request in writing using a letter or form. There are links provided below to Opt Out Letters and Forms. Use a suitable one that is provided or customize your own. Some parents request more than just opting out of an assessment. Parents should opt out of named or described specific assessments. It is important parents clearly state what they expect. My child will not take or is not to be administered the SBAC assessment (or the name of whatever assessment is used in your state). My child will not take or is not to be administered any online assessments. My child will not take or is not to be administered any assessment until I, as the parent, have had the opportunity to view the state assessment in its entirety to deem whether I feel the content is appropriate for my child. My child will not take or is not to be administered any assessment or test that is not written in whole or in part by my child’s regular classroom teacher. Parents have the authority to make decisions regarding their child’s education and well being. Parents wishing to have their kids not be given an online assessment should not wait until assessment time to make such a request. That request should be made early in the year if possible. The request should also prohibit their child from using any online computer or device at school. This sets a precedence making the case stronger when it comes to assessment time. That way at assessment time the school officials can’t come back at the parent and say, well, gee, you let your kid do all kinds of other things online at school all year. 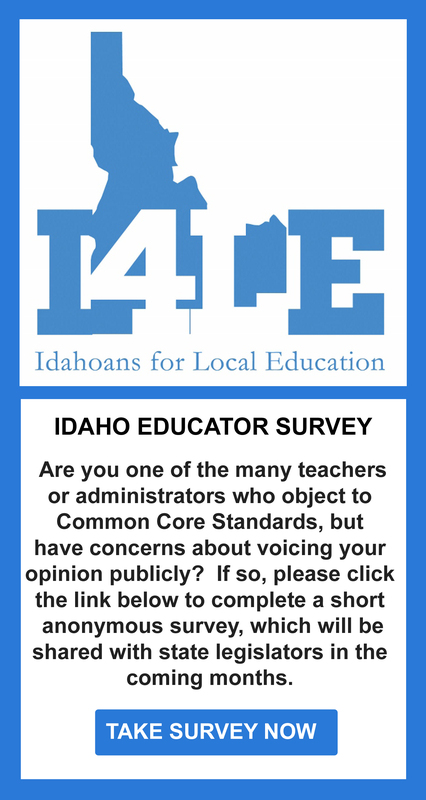 Prior to making a request, parents should consider asking school officials to show the information that their child will be asked to provide as well as the assessment questions and tasks. It is likely they will not allow parents to see the material, but in the event they do, it may help in making the decision about opting out. If parents are comfortable with what they see they may no longer object. If parents aren’t comfortable with what they see, they may have more solid ground on which to base their request. If parents are not allowed to see the material, they should question why not and become suspicious that something is being hidden from them. If school officials respond to a parent request by denying the request, the parent should ask to be shown the statute in state law requiring the child be assessed against the parent’s expressed wishes. Hopefully, the parents have done their homework with regard to state laws and may want to seek legal counsel at this point. Some school officials request, maybe demand, to meet with parents regarding their desire to opt their child out of assessments. If parents wish not to attend such a meeting, it would be prudent to check your state’s laws and possibly consult an attorney licensed in your state on your legal obligations to attend such meeting. With regard to such meetings, here are some recommendations. If communicating by phone, follow up by writing up a summary of the conversation and send, in writing, to the school official and others. Written communication should visibly be copied to other people—your lawyer, a family advocacy group, friends, family, known community members. This lets the school official know others are watching the situation and they will be less likely to bully you and more likely to treat you with respect. Here are some things you might expect when you communicate with school officials. They may ask why you don’t want your child to take the assessment. You are not required or obligated to give a reason why. They may try to convince you to change your mind. They may tell you your child is required to take the assessment (this has been addressed earlier). School officials may try to convince you of benefits of taking the assessment. If this happens, ask specific questions about those benefits and ask them to provide evidence of the benefits they mention. You can always ask for evidence of how the assessment will help your child. Ask for evidence of how the teacher will use the results to further your child’s education. Ask how the results will show your child’s academic achievement/standing with regard to content knowledge. 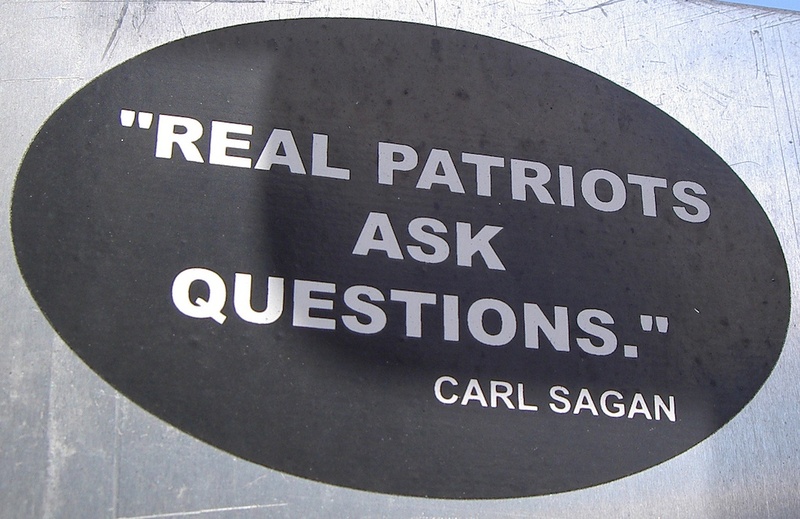 It is important to note, don’t just ask how but ask for the evidence of how. If you are requesting your child not be administered a state assessment, you probably already have good reasons already. Here are some reasons people object to their child being administered a state assessment. Prior to requesting opting out, parents may want to gather some information and take some steps to safeguard their child. Parents may want to see the assessment before it is administered in order to see the content material prior to it being exposed to their child. That may help in making the decision to opt out. If a parent can’t see the assessment in its entirety, they may not want their child to take the assessment. Ask to see the assessment in its entirety. Parents may want to ask for a copy of the validity and reliability report for the assessment. If such a report is provided, please share it and look it over carefully, or have someone else look it over to determine if it is legitimate and reasonable. If school officials can’t or won’t provide you with proof the assessment is valid and reliable, why should a child take the assessment? Parents should insist a copy of a written report be provided rather than just being told where the information can be found or that it is available online. This may prevent parents from being sent on a wild goose chase or as a tactic to send the parents on their way. Ask for a copy of the validity and reliability report for the assessment. Parents should ask if and when they will receive test results for their child. They should ask for a sample of a results report. If parents aren’t going to be provided with a results report or can’t see a sample, why should they allow their child to take the assessment? Parents should brief their students on what to expect if their child is going to be in school on assessment days. Parents should request their child be engaged in suitable and appropriate educational activities. The practice of having non-participating students sit and stare during the assessment is not acceptable and is seen as unreasonable and punitive. 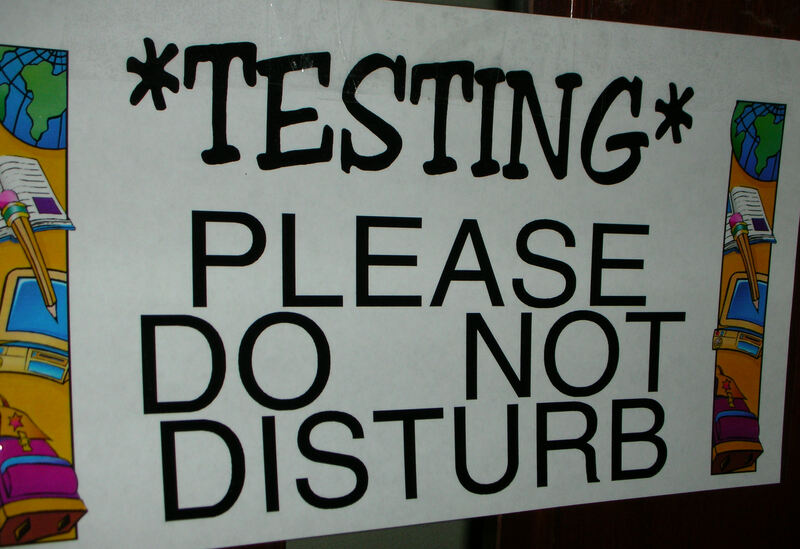 Non-participating students should not even be in the testing environment. 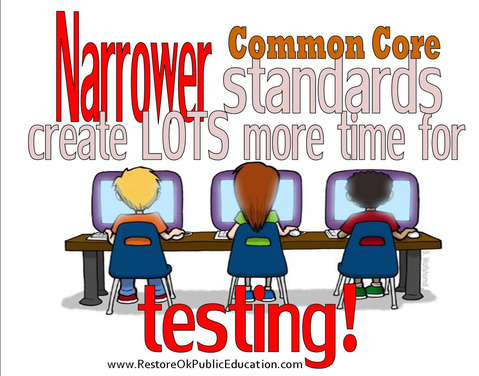 The PARCC Test Coordinator manualstates that non-testing students are “prohibited from entering the testing environment”. That prohibition should apply to other formal assessments as well. Parents should request their child be engaged in suitable and appropriate educational activities. If parents choose to keep their child home on assessment days, they should make sure there are legitimate reasons so as not to run afoul of truancy issues or of being reported to a child protective services agency. Will the school try to administer a make up assessment upon the child’s return to school? Beware of the window of time for the administration of the assessment. The Education Commission of the States has produced a document called Assessment Opt-Out Policies: State responses to parent pushback. You can click on the hotlink to download the document to see what the policy, if any, is in your state. There are two lists below with links to web pages or documents with Opt Out Resources and Information and Opt Out Letters and Forms. The lists are not all-inclusive and are not intended to be. They are provided to give people a starting place for finding information about opting out that they may need. Since more resources become available over time, an online search may generate more information and resources than provided here. You can check out our opt out info on the above tab. « Cruz, More Than Just Talk.